The story of the four-wheel-drive tractors built by Steiger, International Harvester, Case, and Case IH is told in dramatic fashion in this authoritative guide. Starting with the development of early four-wheel-drive systems at International Harvester, the book traces the evolution and design some of the most powerful and capable tractors of the twentieth century. 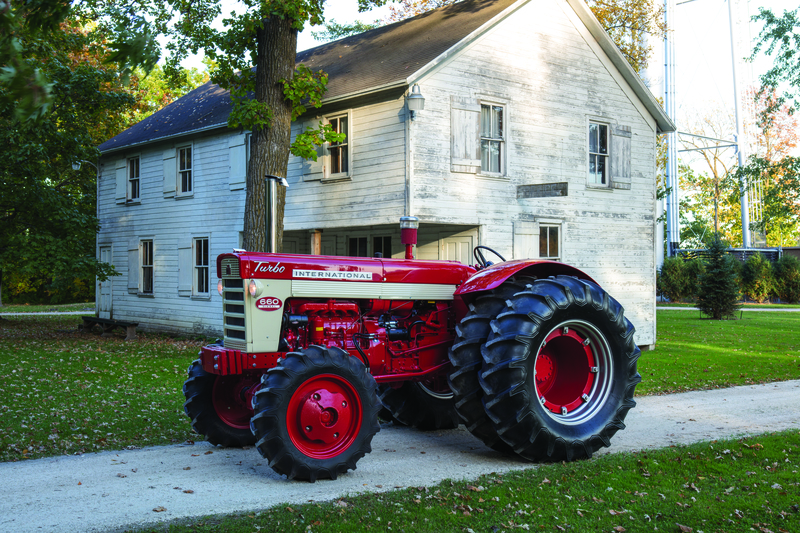 Learn the complete story of Steiger tractors, which were originally designed and built in the barn of John, Douglass, and Maurice Steiger located near Red Lake Falls, Minnesota. Containing interviews with more than 50 of the people who built Steiger from its humble origin to a world leader, the book traces the evolution of the lime green Steigers in engrossing detail. The book also chronicles the four-wheel drives built by International Harvester, from the newly discovered first machine built in 1912 to the final series of Super 70 models of which only a very few were produced. This volume features heavy research and coverage of International Harvester 4WDs, including newly uncovered details about why the 4300 Series failed, how the Steiger-built IH 66 Series was designed in a secret garage, and why the 2+2 Series was abandoned in 1985. The book also documents a never-before-seen 2+2 that was tested in the 1990s. J. I. Case offered an interesting line of 4WD tractors too, and the colorful history of those powerful machines is traced in detail, including photos of all the orange-and-white 4WD Case tractors. In addition, the book tells the story of how each of these significant players in the industry combined under one banner and—together—created one of the current industry-leading technologies, the Quadtrac. The modern evolution of the Steigers and the introduction of the STX Series (and more) also receive in-depth coverage. Brought to you by the same team that created the award-winning books Red Tractors 1958–2013 and Red Combines 1915–2015, this incredible book is a must-have for any tractor and farming history enthusiast. All the 4WD models from International Harvester, Case, Steiger, and Case IH are shown. 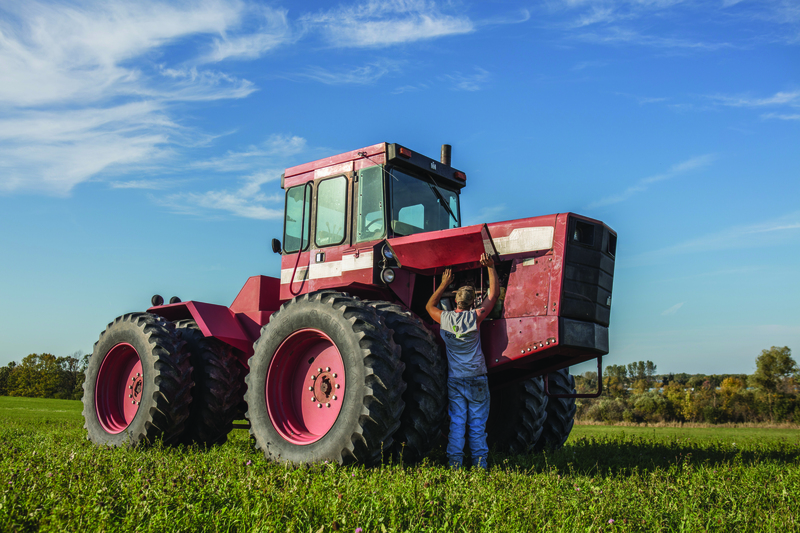 The book includes the design and development history of the tractors, with first-hand accounts from the engineers and other product-development specialists at IH and Case IH who brought them to life. More than 600 images of IH and Case IH tractors, including previously unpublished concept drawings as well as images of prototypes, test mules, and more chronicle the evolution of these impressive machines. This volume contains information on North American, British, German, Australian, and French models from the leading experts on red four-wheel-drive tractors. Contributors include Sherry Schaefer, Oscar H. Will, Jim Allen, Kenneth Updike, Todd Markle, Guy Fay, Martin Rickatson, Sarah Tomac, Matthias Buschmann, Jean Cointe, Michael Osweiler and Johann Dietmer.